Part II – In Missouri, Under What Circumstances Can My Non-Marital Property I Brought Into The Marriage Be Converted Into Marital Property? Property which was clearly non-marital at the time of the marriage can be converted into marital property primarily by the following methods: 1) re-titling of non-marital property or 2) commingling non-marital property with marital property. This principal is often referred to as transmutation or the act of making a gift to the marital estate. Most family law practitioners have been faced with a scenario where a client or opposing party has, after the parties’ marriage, re-titled property from their own name into the joint names of themselves and their spouse. This most commonly occurs with real estate, bank accounts and investment accounts. However, it can occur in other types of property such as burial plots, safety deposit boxes and motor vehicles. Once this occurs, your family law Judge will find that the property is now legally presumed to be marital and therefore subject to division as a marital asset. It is then the burden of the party trying to prove that the property is entirely non-marital to convince the Judge by clear and convincing evidence that it was not the intent to make a gift to the marital estate. This can be a very difficult burden to overcome and, depending on the views of the Judge who is presiding over your divorce, may often require the existence of another written instrument executed by both parties which is specific that the re-titling is not a gift to the marital estate and is not intended to make the property marital as opposed to non-marital. Of course, the timing of the execution of this document relative to the re-titling along with other circumstances surrounding the creation and execution of this document will be important factors in the Judges determination on this issue. Even non-marital property which has not been re-titled can become marital property if that property has been commingled with marital assets. 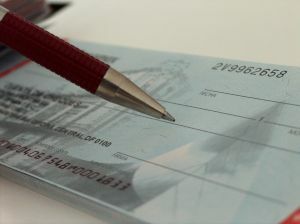 The most common example of this is a bank account or investment account which existed at the time of the marriage but which has had marital funds put into it and taken out during the course of the marriage, even if this account remains solely in the name of the original owner of the account. Simply commingling is not always sufficient to change the character of the property from marital to non-marital. Under these circumstances, the court will typically consider the length of the marriage and the extent to which the non-marital assets have been commingled with marital assets in determining if a “transmutation” of a non-marital asset to a marital asset has occurred. For example, if the marriage is relatively short or if a small amount of marital funds have been commingled with a relatively significant holding of non-marital funds, the court may still hold that these funds remain non-marital. Under these circumstances, the court can still find that there is a marital interest in otherwise non-marital property. See our earlier blog for a discussion of these circumstances. For a discussion on those factors the Judge should consider in dividing your marital property visit our blog again soon. The preceding blog should not be taken as advice on your particular situation. The characterization of your property in the divorce process will be governed by the particulars of your situation along with the specific views of the Judge who is presiding over your particular case. Therefore, it is critical that you work with legal counsel who is experienced and educated on the law as well as one who has insight into how your Judge views the particular circumstances of your property division. Please contact a Missouri Family Law Attorney today to discuss the specifics of your matter.